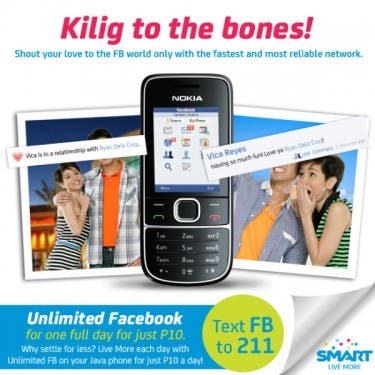 Unlimited Facebook on Your Mobile Phone for Just P10 a Day! Can't live a day without Facebook? 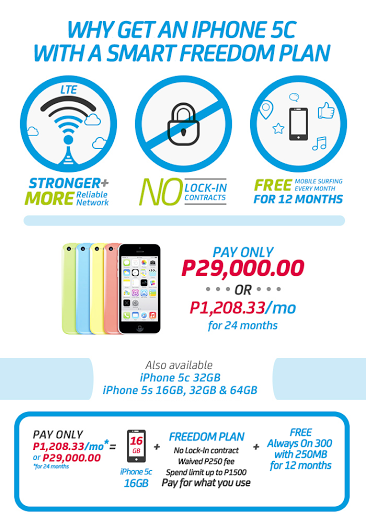 SMART, the fastest and most reliable network, is now offering unlimited use of FB even on your java phone for only P10 a day! Facebook is best on the go. For example, you’ve been bitten by the love bug all of a sudden and you want to express your feelings to your special someone. Shout your love to the FB world immediately by using your mobile phone! While walking on the street, you meet your crush and he/she smiled back at you. 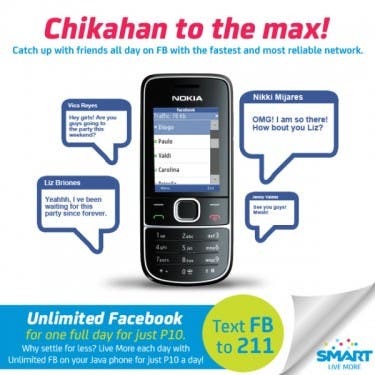 Habang kilig to the max, chika agad to your friends by chatting with them on Facebook via your mobile phone! While dining in a restaurant, you’ve tasted the best chicken you’ve had in your life. 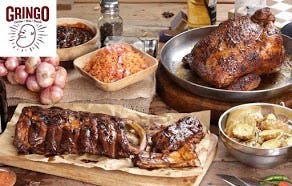 Bago maubos, why not post the food shots on FB to recommend to you friends! So even if you don’t own an expensive smartphone and you’re just using a java phone, SMART can give you access to most of Facebook features. 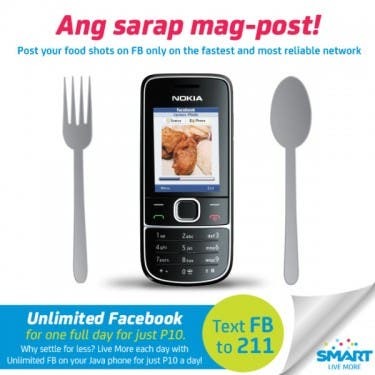 The Facebook mobile app is compatible with over 2,500 phones and you can download it by texting “FB” to 211. You will then receive a text message containing the link. All you need to do is click it and hit yes to install and download the app and you’re done. You can now access your Facebook account on your java phone! But wait, it gets better. By accessing your FB account on your mobile phone, you can do so without the time constraint. 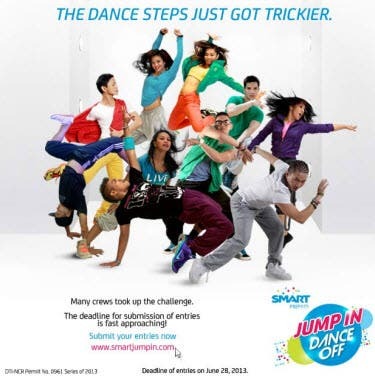 Because with SMART, you have unlimited FB access for only P10 a day! Is that a great deal or what? You can now update your status, post comments, write messages to your friends, upload photos–anytime and anywhere–via your java phone with SMART’s FB10! Smart Express Call 50: Piso-per-Minute Calls to All Networks is Coming!